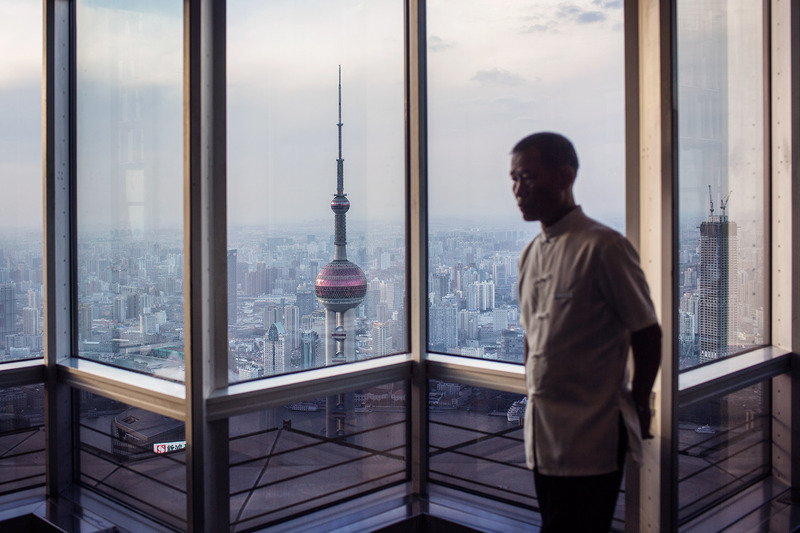 Since the economic boom of the 1980s, Shanghai has built relentlessly towards a city that symbolises new China. Nearly three decades later, that transformation is almost complete. While the iconic Pudong skyline is long since established, the last few years have seen the city’s historic lane communities replaced with modern high rises as the distant past begins to disappear from central Shanghai. The older neighbourhoods of Laoximen and Xiaodongmen are among the last to fall, with their network of lilongs either marked for demolition or already gone. Little remains of the communities that lived here for generations. Red and yellow banners urge residents to ‘take the money and start a new’ elsewhere - advice long since taken by most. The odd nail house lies amongst rubble and streets once teeming with life are all but deserted after dark. From many of them, the iconic Pearl Tower bears down in the distance; a perfect microcosm of old and new just a stone’s throw from futuristic Shanghai.